As any dog person knows, our canine friends are such beautiful souls and a big part of our life. They’re always there to greet us with wagging tails even if we’ve only been gone a short while! These years of fun and boundless energy are followed by the senior years, when the whole dynamics of caring for a dog can change. This can be where we need to support them even more, and reiki therapy can be so helpful for this time. Here are some positive ways reiki can help your senior dogs. Older dogs can suffer from chronic issues that can cause physical discomfort. Arthritis, stomach and digestive issues and general aching from old age can surface as they grow old. Thankfully reiki can help relieve the symptoms and can even help injuries heal quicker. Cortisol, the stress hormone, inhibits cell regrowth and there is good research to show reiki healing changes the hormones for several hours and is cumulative. Of course, we need to follow our vet’s advice, but by including regular reiki treatments we can help to combat these issues safely and naturally. Reiki is very relaxing, so if a dog has a physical pain it could be tensing the area. 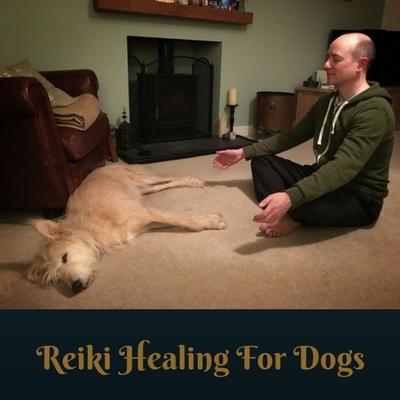 What happens during a reiki session is that the dog will fall into a super relaxed state, enabling their own body to begin the natural healing. It works further by balancing the body’s energy fields to support their whole being. Just like us humans, when dogs get older they can sometimes get confused and slower. Thankfully reiki can help with this too. By providing them with a deep sense of peace it can help their mental focus, much like the effects of meditating. Reiki is kind of like a meditation, and the energetic flow that comes from this attracts animals. Quite often when opening a reiki session you will find your cat or dog will approach you and drop down to enjoy the healing energies. Sometimes there is a loud sigh that comes from dogs when having reiki treatment as they release old stresses. It can be quite powerful for the animal. Dogs can also become more fearful of things, such as travelling in a car, meeting other dogs, loud noises etc. This can lead to anxiety which I have found to be something reiki can really work well for. Fear can lead to many things, including not wanting to go outside or to be around other dogs or people. It is an emotional factor that reiki can assist in releasing. Research shows that during reiki treatments the stress hormone called cortisol is reduced. To see a dog have a fear of something released is quite wonderful, knowing that they can now live a fuller, happier life. It’s something we all have to go through with our dogs and there is no easy way through it. When it’s time for our canine friend to pass over to the other side we ourselves find it emotionally crippling both during it and for a long time afterwards. Sometimes our animals are ready for the transition but it can be beneficial to use reiki to help ease some of them over. It helps by offering a sense of peace and grounding to their mind and body. This is a time when having a reiki session yourself can help too. I find it is best when the dog’s human joins in the reiki session as it helps both parties and help build the bond between them. So how does reiki work? It is said that a form of reiki was originally developed hundreds of years ago in Tibet, but was rediscovered by a Japanese monk named Dr Usui in 1922. He found that we can learn to harness the energy that surrounds us all to bring about a balanced mind, body and spirit. By channelling the reiki energy through a practitioner they can transfer it to the patient to rebalance the body’s natural energy centres. This in turn allows the body’s built-in healing abilities to work as they should. The great thing about dogs is they always look on the bright side, even when they’re older. They rarely complain and have a great knack of just living in the moment, content with what they have. There are things we can do to help them and complementary therapies such as reiki can really help them cope with the change in their mind and body. 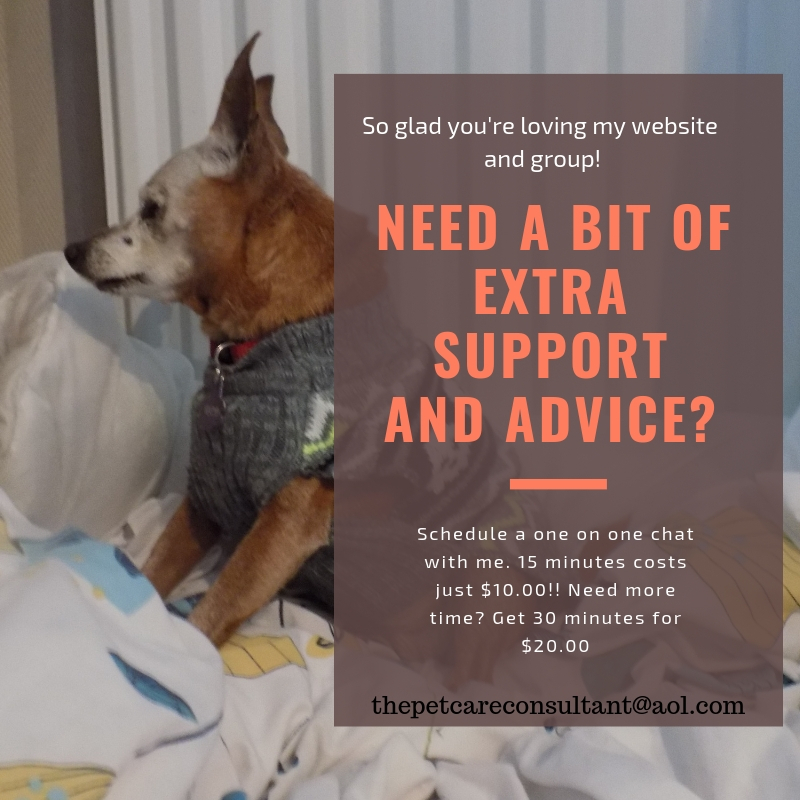 Your local vet must always be consulted but by going down the holistic route we can get the best of both worlds with a scientific approach coupled with alternative treatments. It’s an approach your dog will appreciate and you will see the difference with your own eyes. This guest post was written by Jason, a fully qualified reiki practitioner, specialising in reiki for animals. He also offers animal communication readings and lives in Worcestershire. You can book a hands-on or remote reiki session at www.talkingtoanimals.co.uk for your pet. Hi Terri, it was new to me too!! I’ve never had reiki done on myself but I know a couple of people who have, and they’ve said it was wonderful and helpful.